The aim of the Fund is to provide income with the potential to grow the amount you invested.The Fund invests at least two-thirds of its assets in higher rated corporate bonds (which are similar to a loan and pay a fixed or variable interest rate) that are priced in British pounds.The bonds the Fund invests in will generally have up to five years to maturity.Higher rated bonds (as defined by international agencies that provide such ratings) are considered safer than lower rated bonds but typically pay a lower income. Alasdair Ross is Head of Investment Grade Credit, EMEA, with responsibility for our UK and European investment grade corporate credit teams based in London. Alasdair is lead portfolio manager across various global, euro and UK corporate credit portfolios including Threadneedle (Lux) Global Corporate Bond Fund, Threadneedle European Corporate Bond Fund, Threadneedle UK Corporate Bond Fund and is also deputy portfolio manager on the Threadneedle Credit Opportunities Fund.Alasdair’s investment background is as a fundamental, bottom-up, investment grade credit analyst. 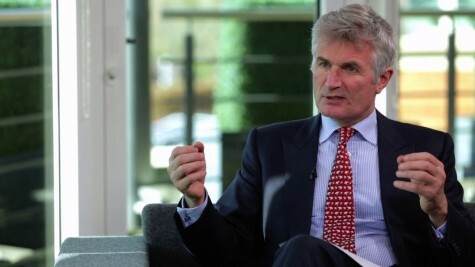 Between joining the company in 2003 and becoming a portfolio manager in 2007, he had responsibility for covering the TMT, utility and energy sectors, as well as the sterling whole business securitisation sector.Prior to joining the company, Alasdair worked at BP plc in a rotation of commercial roles. Alasdair has a first class honours degree in Politics, Philosophy and Economics from the University of Oxford.He also holds the Chartered Financial Analyst designation.